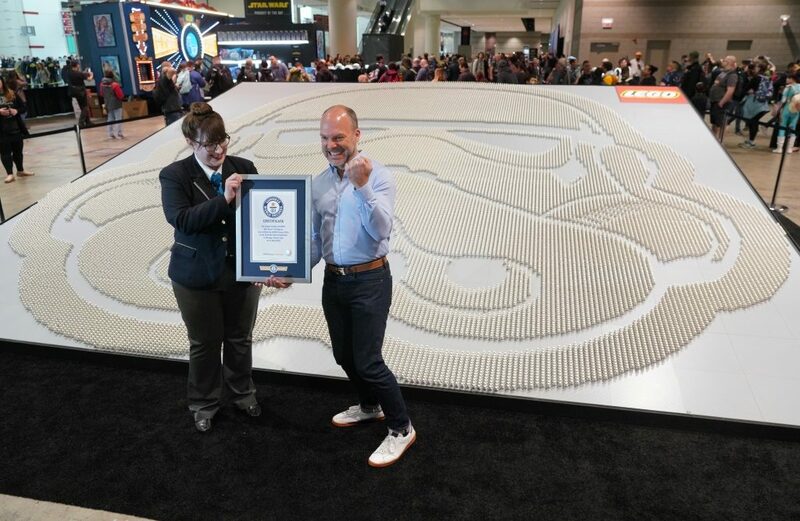 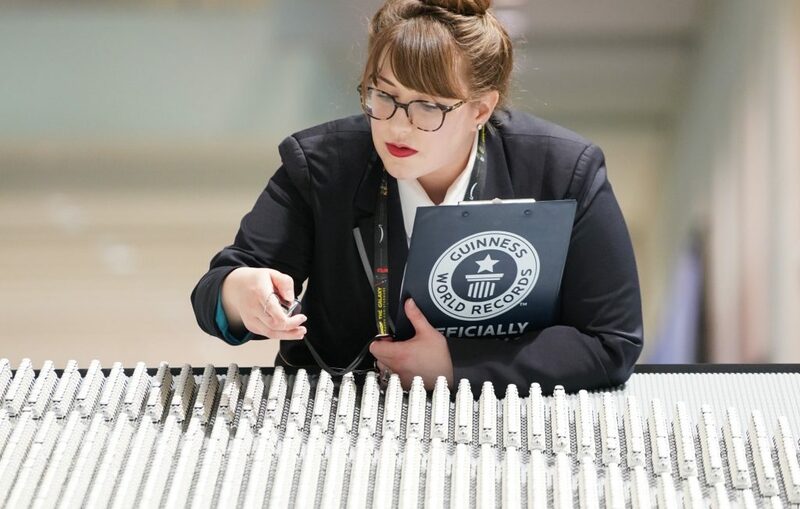 Unveiled as the show floor opened LEGO Group Senior Director of Brand Relations, Michael McNally was presented by Christina Flounders Conlon, GUINNESS WORLD RECORDS Adjudicator, the world record title. 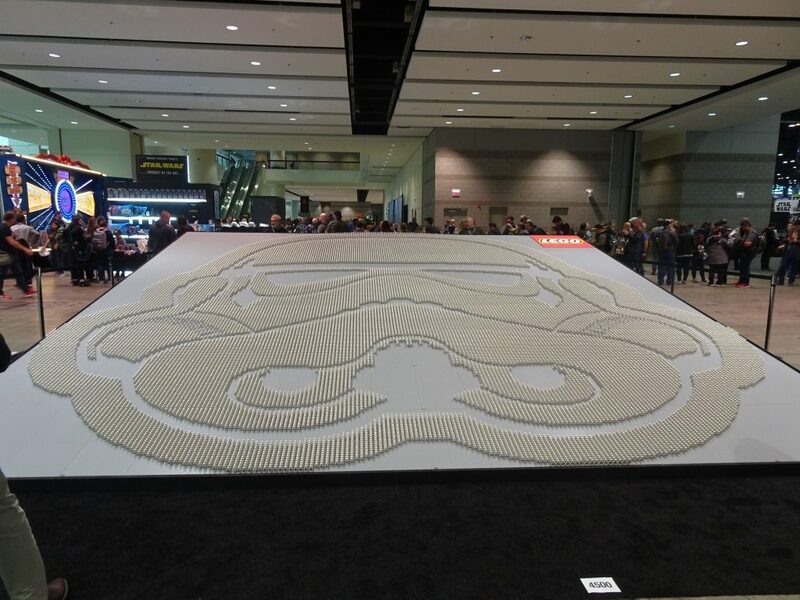 Assembled in the shape of the iconic Stormtrooper helmet the 20 feet tall by 20 feet wide model took 38 hours to complete and is composed of 36,440 LEGO Stormtrooper minifigures. 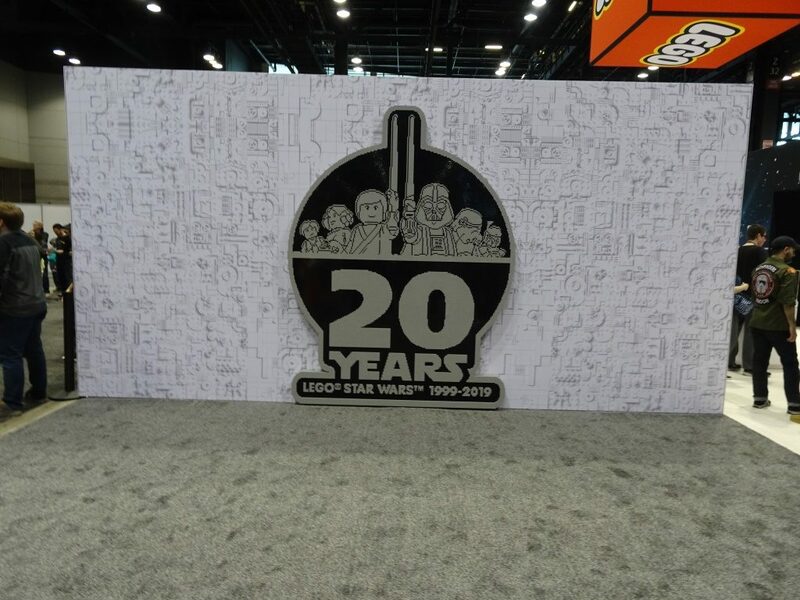 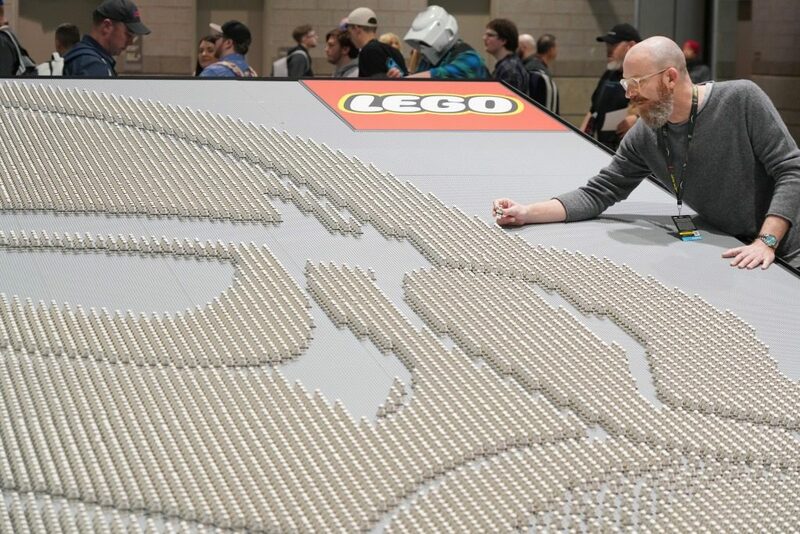 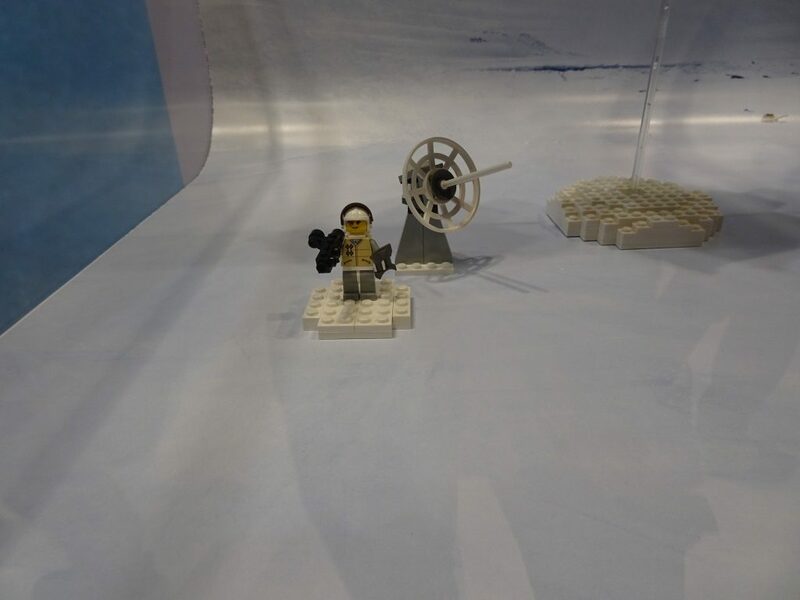 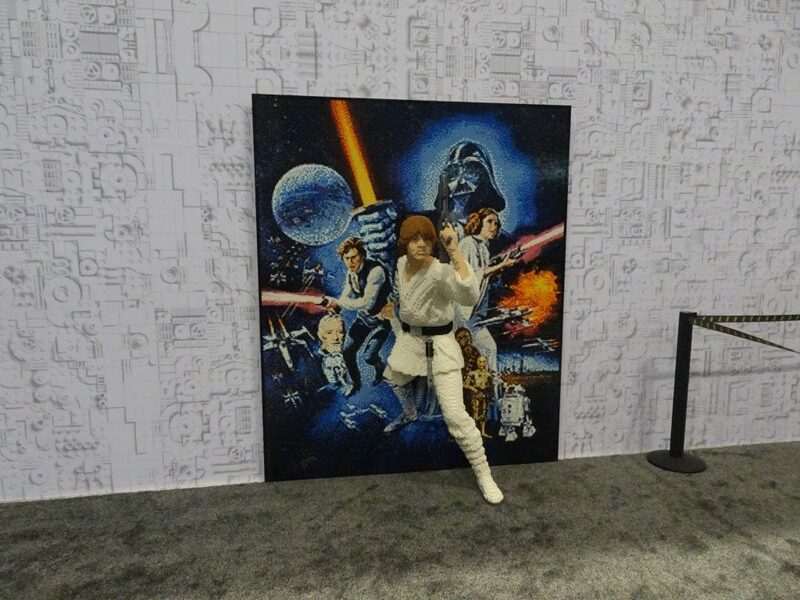 Taking 16 hours to assemble all of the minifigures were then shipped to Chicago to be arranged for display at Star Wars™ Celebration and once assembled, the baseplates were transported to McCormick Place, where they were arranged for final evaluation. 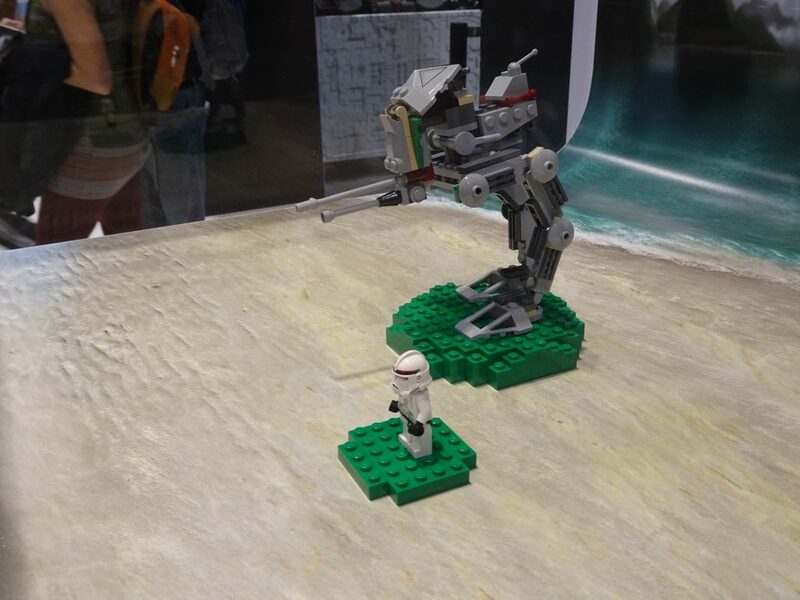 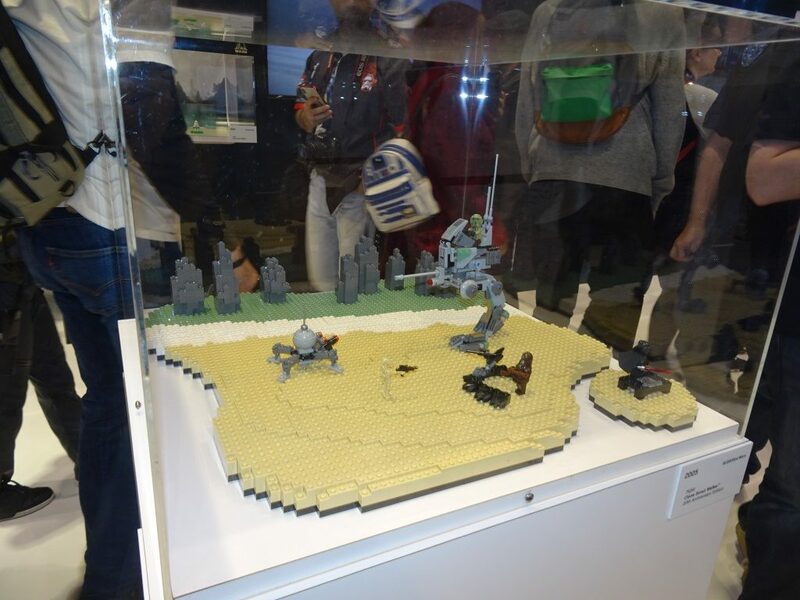 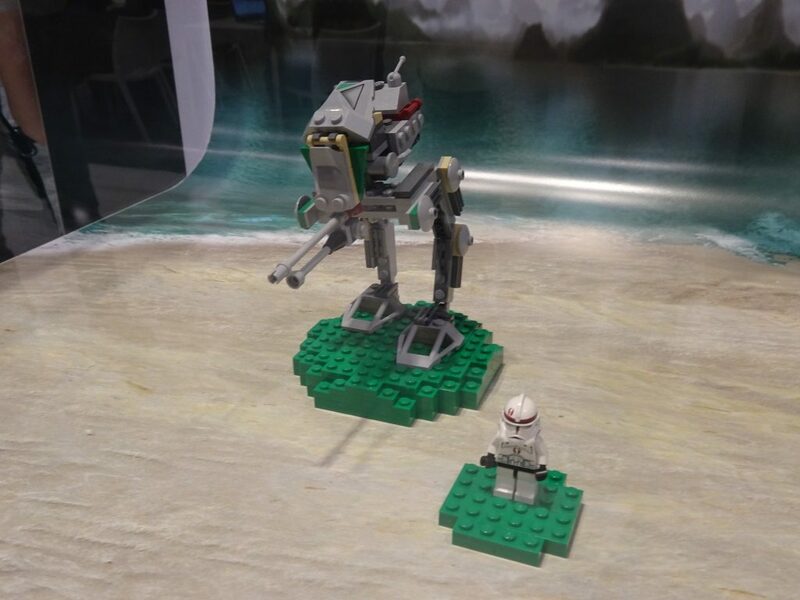 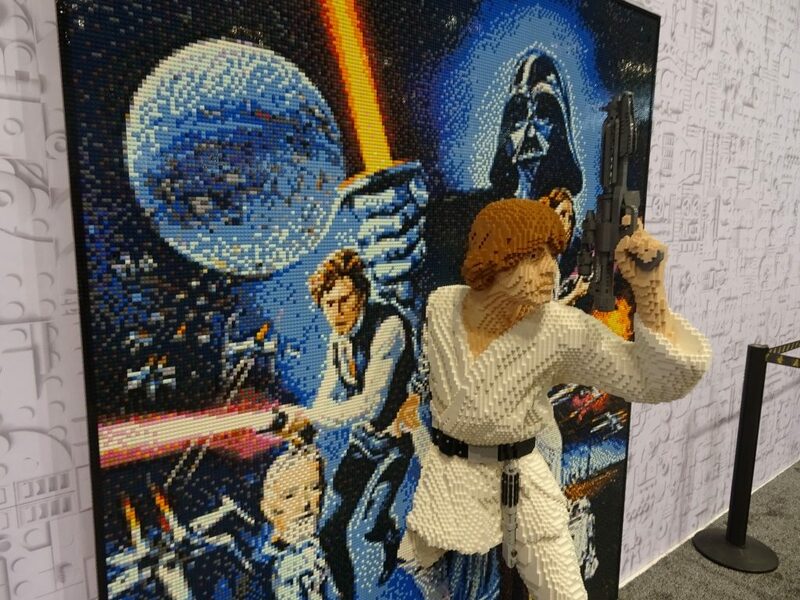 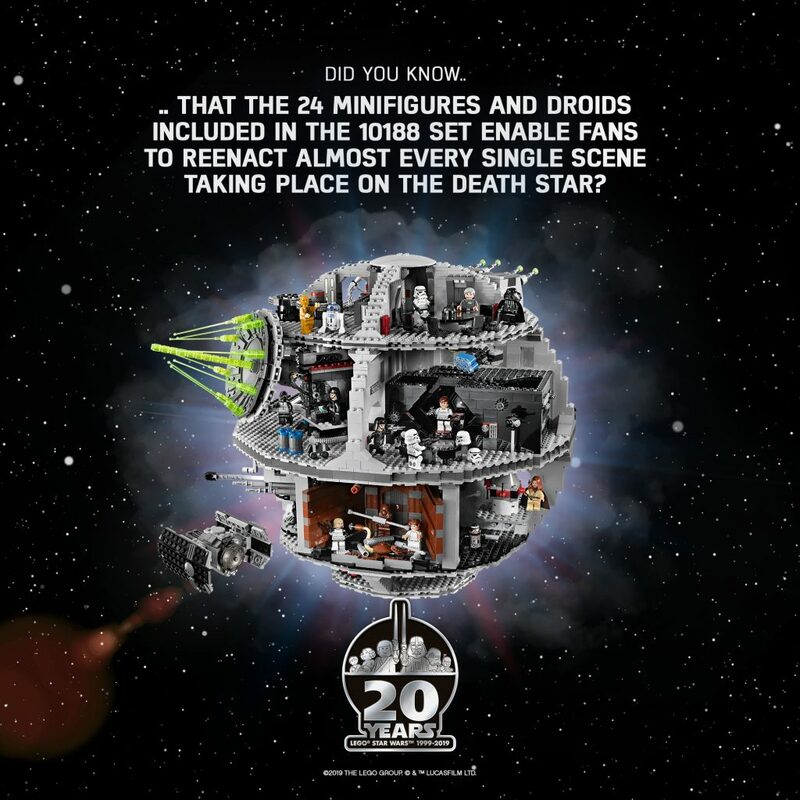 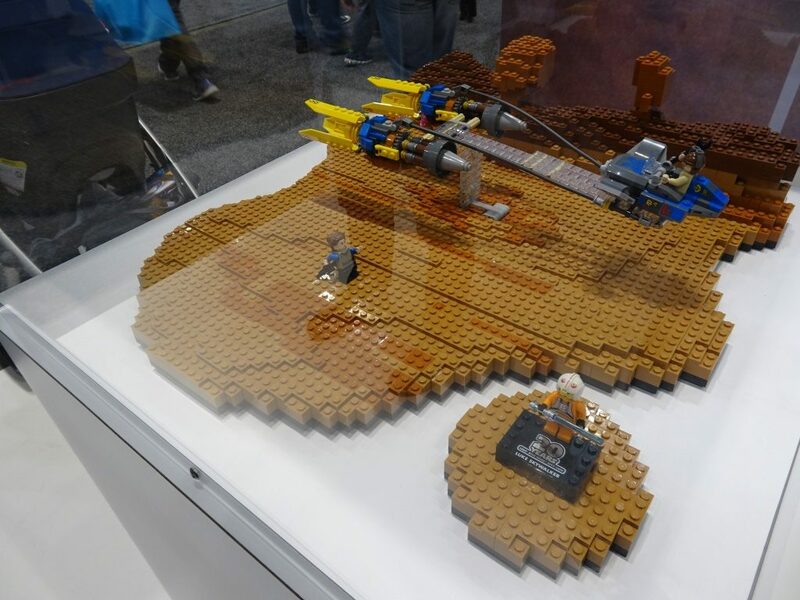 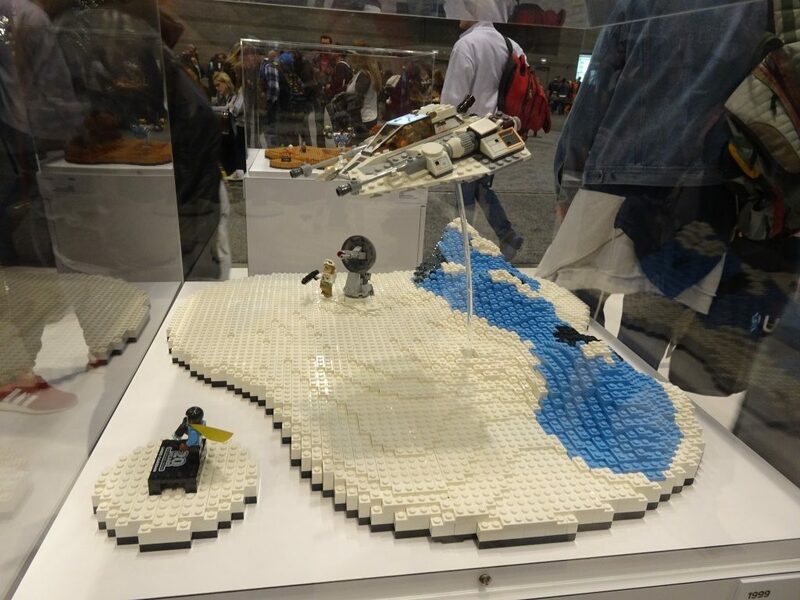 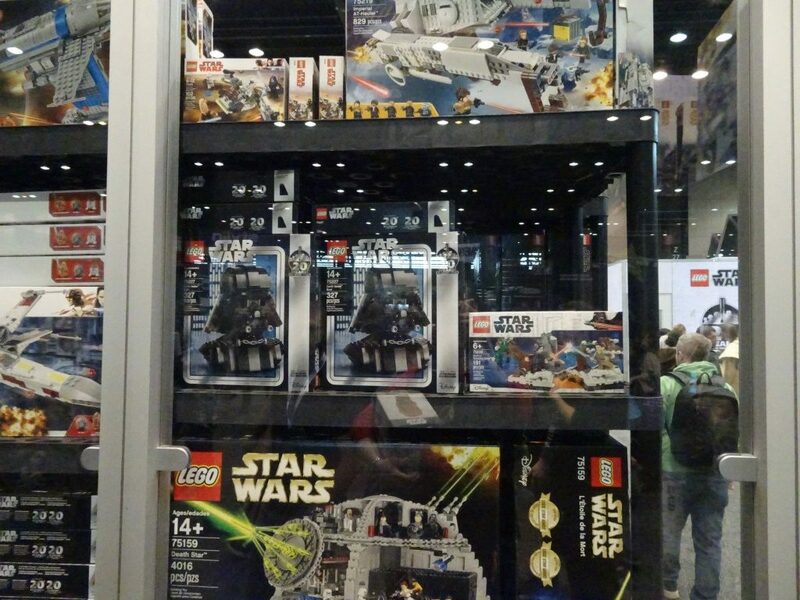 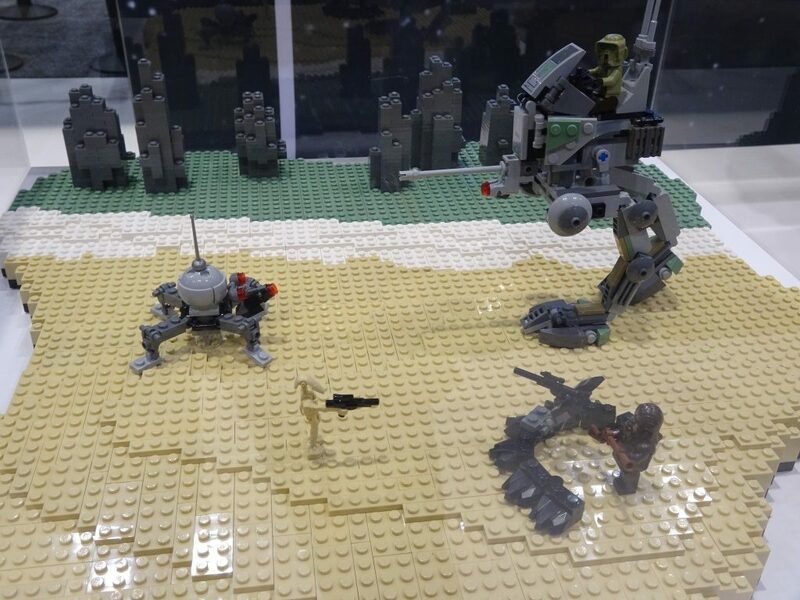 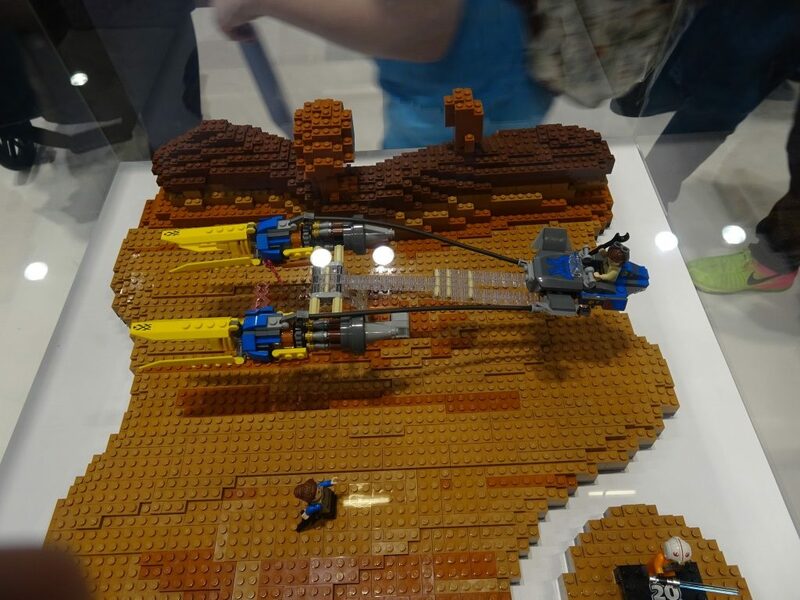 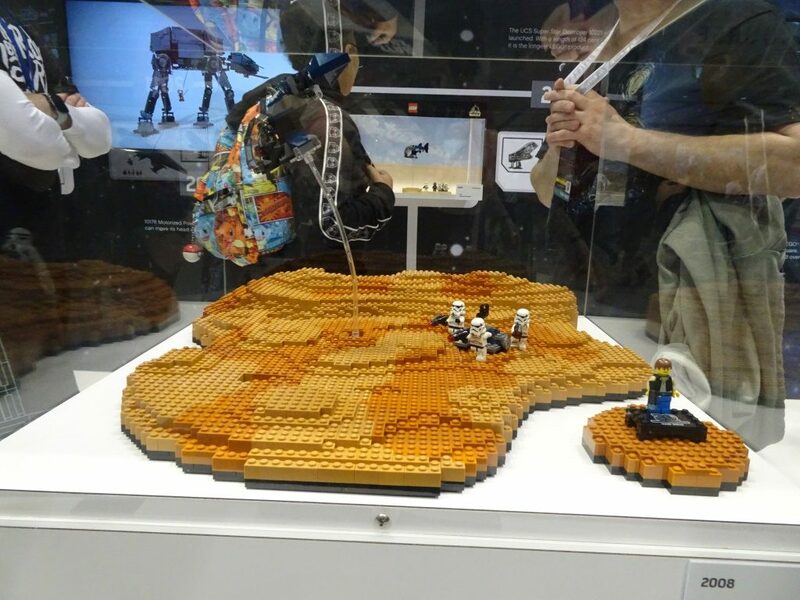 The LEGO Star Wars collaboration, which was the LEGO Group’s first licensed property, began in 1999 at the American International Toy Fair in New York with 13 LEGO Star Wars™ sets. 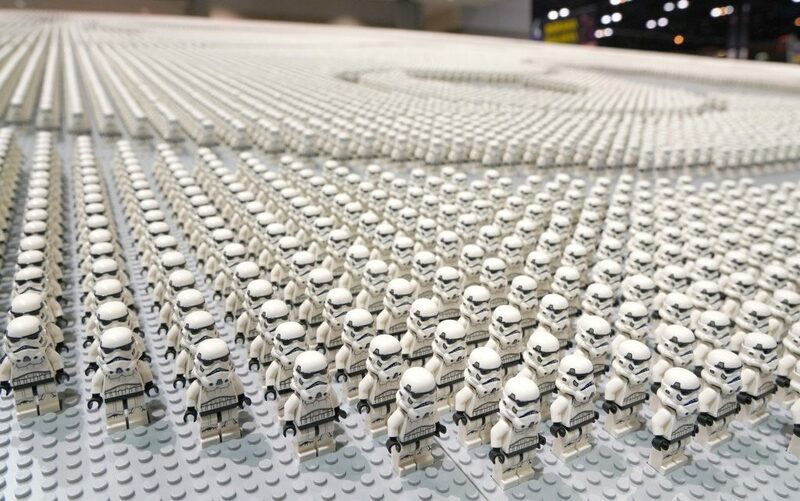 One of the company’s most popular brands the license has grown to over 700 sets and over 1,000 minifigures. 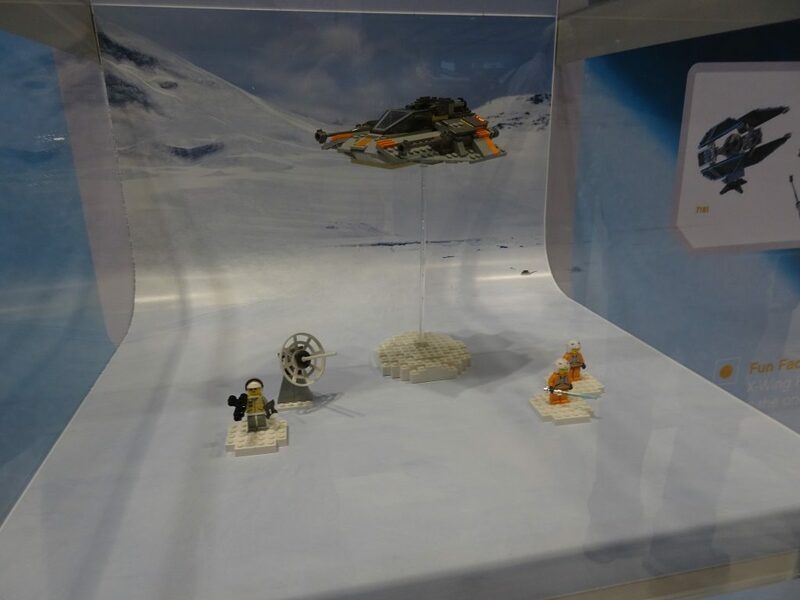 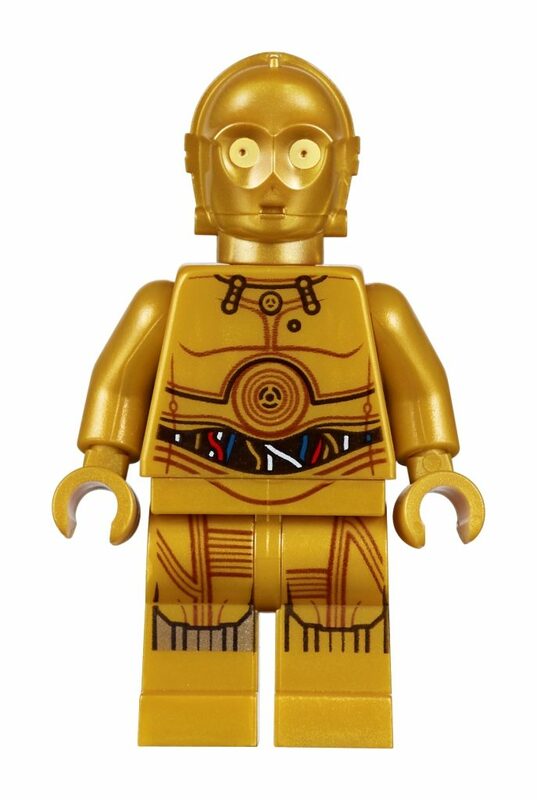 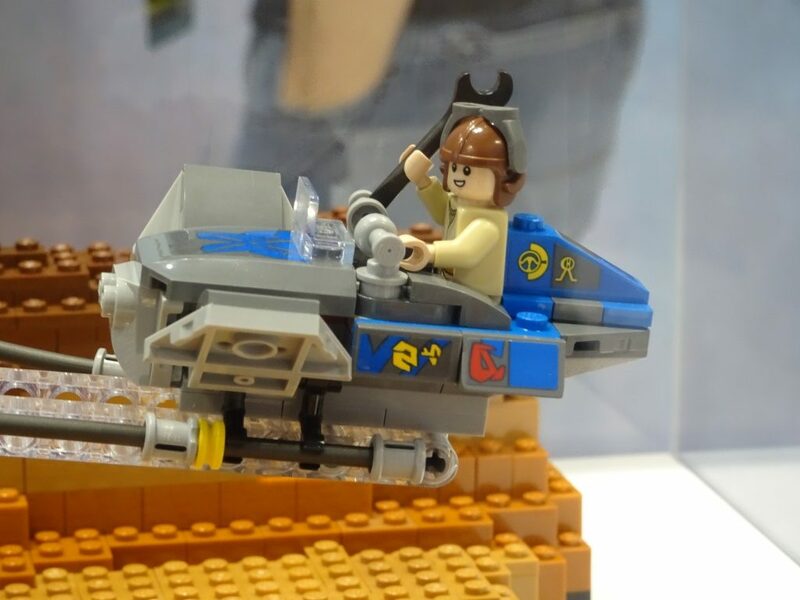 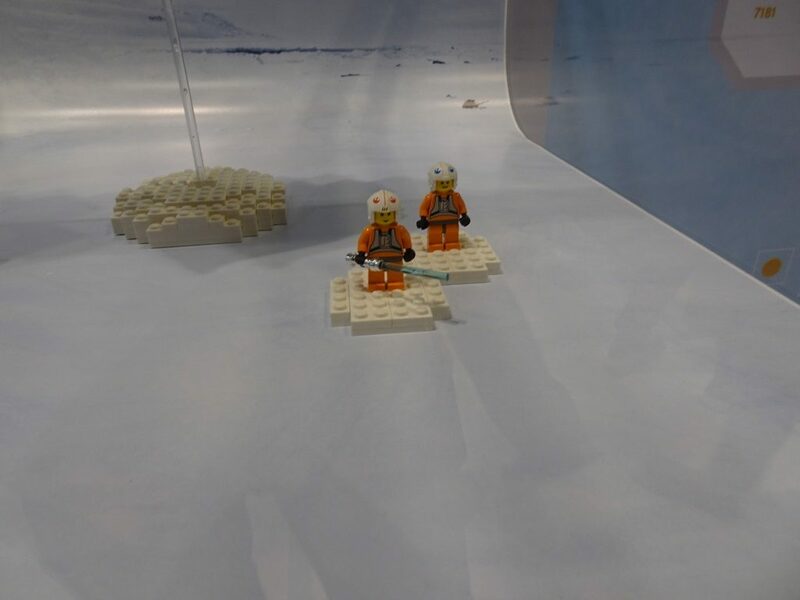 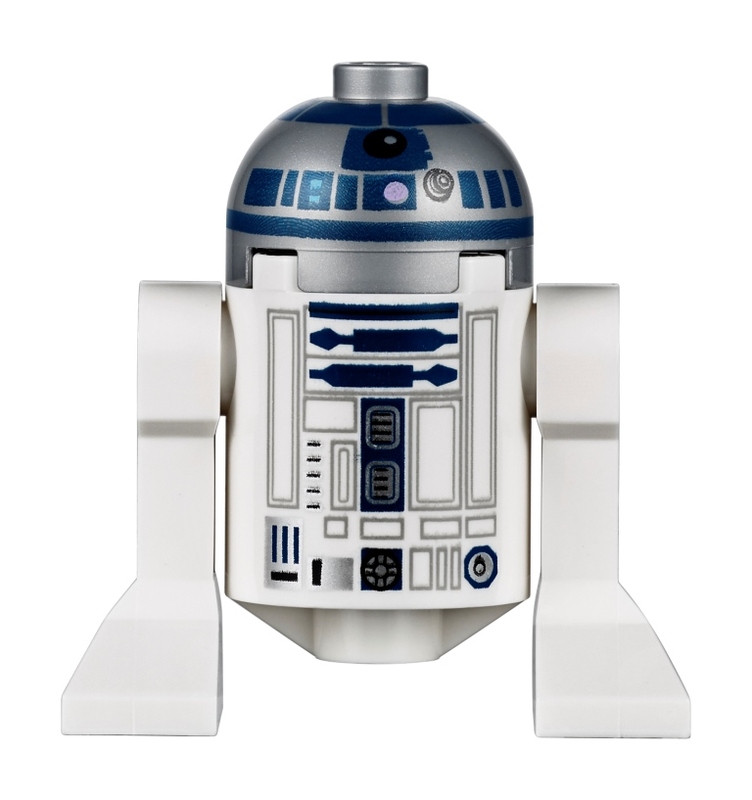 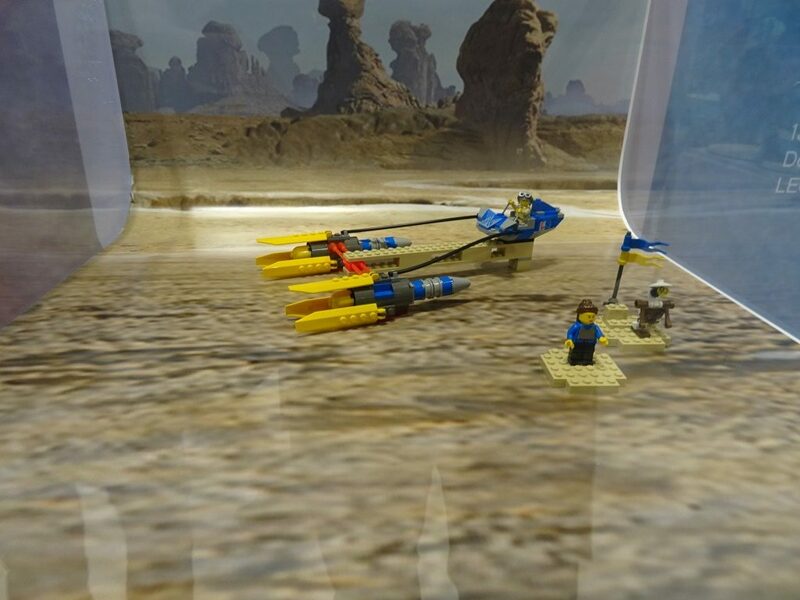 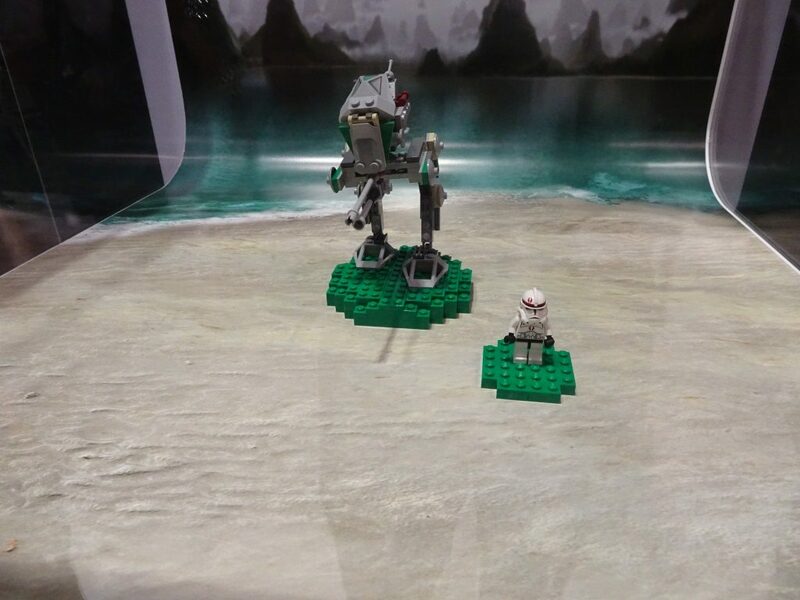 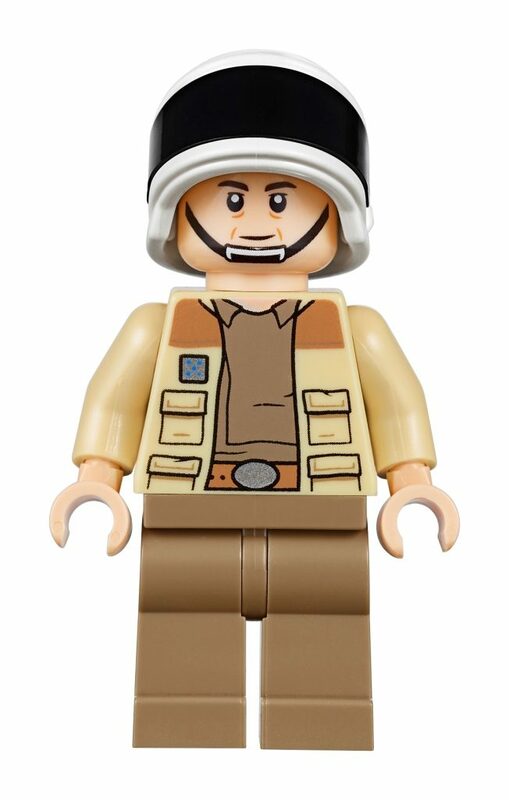 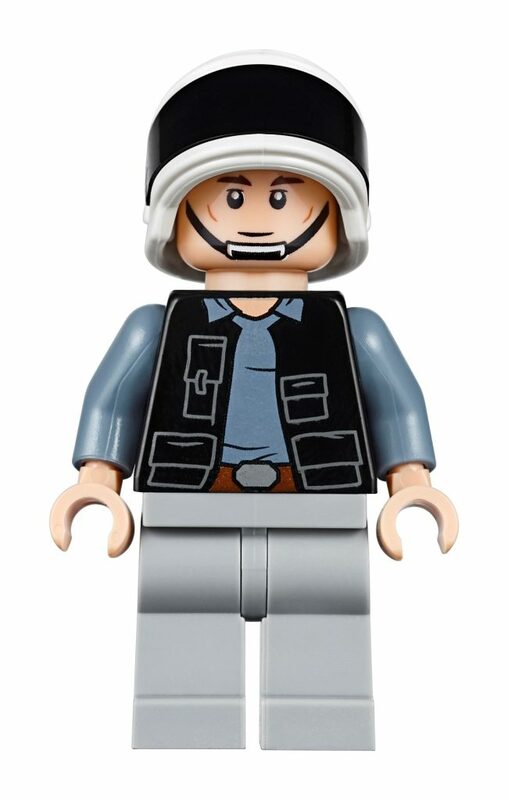 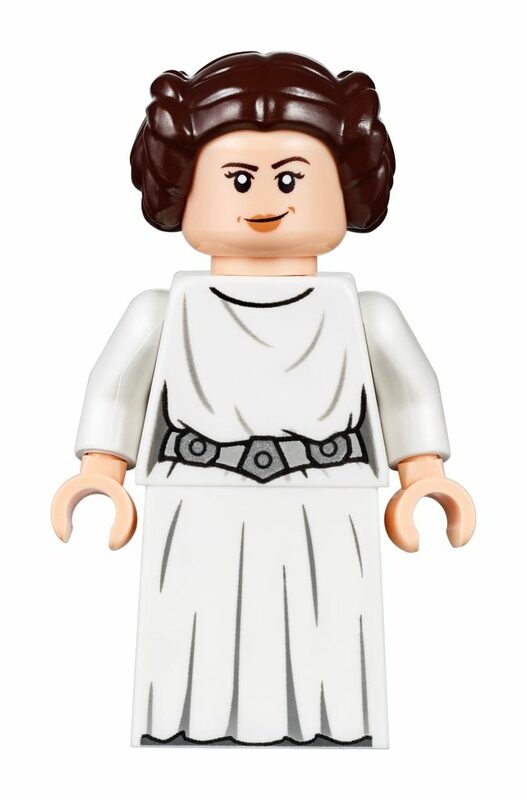 The collaboration has allowed LEGO to also branch out with the first modeled minifigure headpiece with the Jar Jar Binks minifigure, while new short leg molds introduced brought Ewoks and Yoda to life. 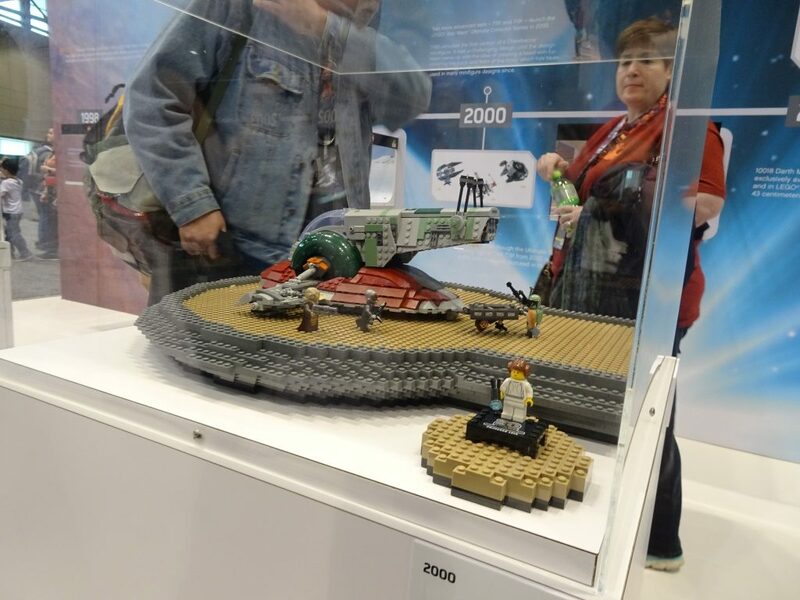 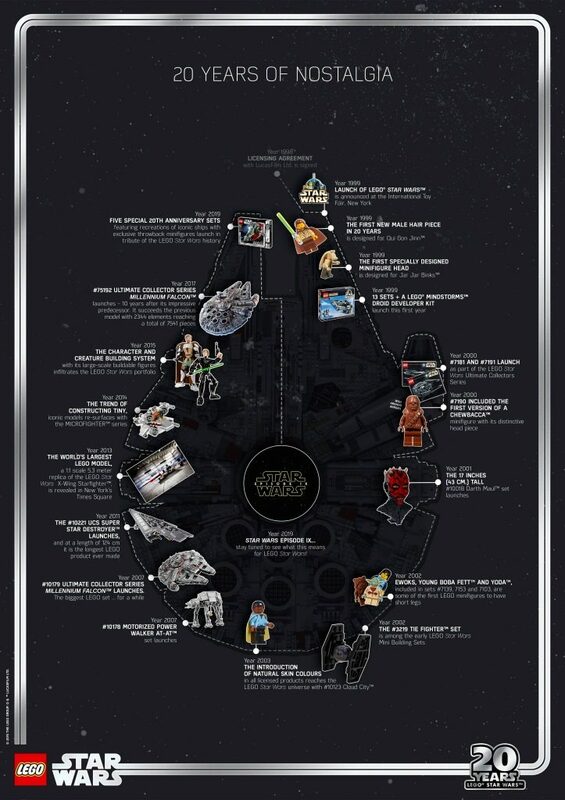 The collaboration has also produced five video games, several television and web series, and an abundance of other merchandise based on the endless stories, characters and vehicles of the beloved galaxy. 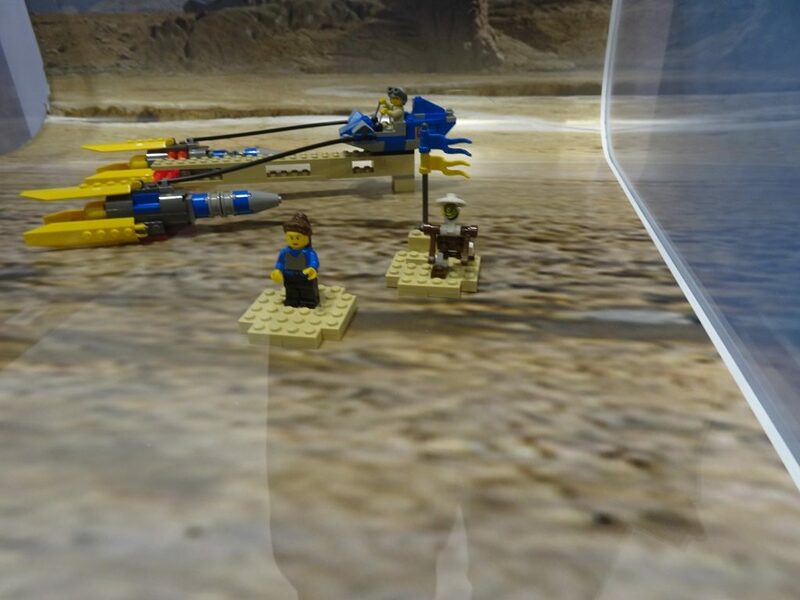 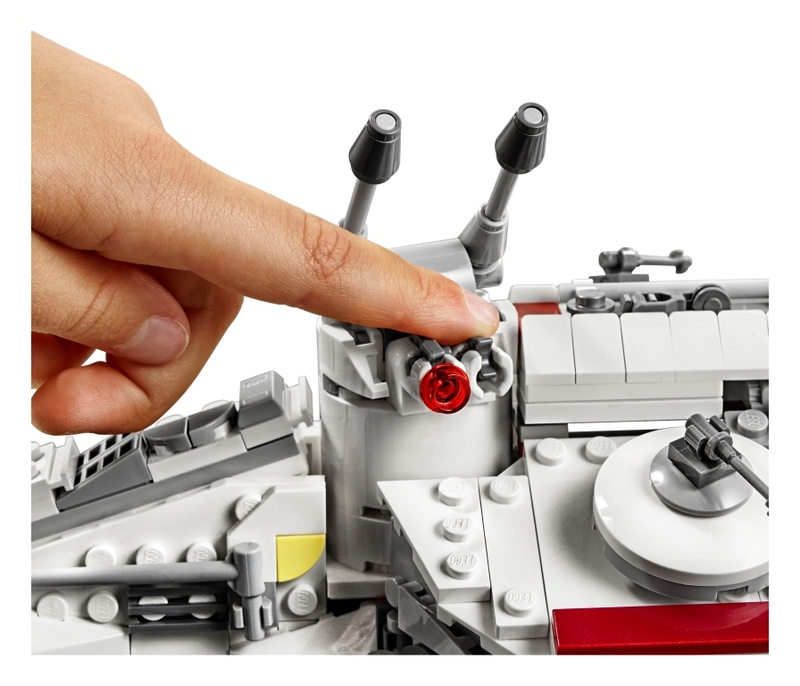 Build, play and display a legendary Star Wars™ starship! 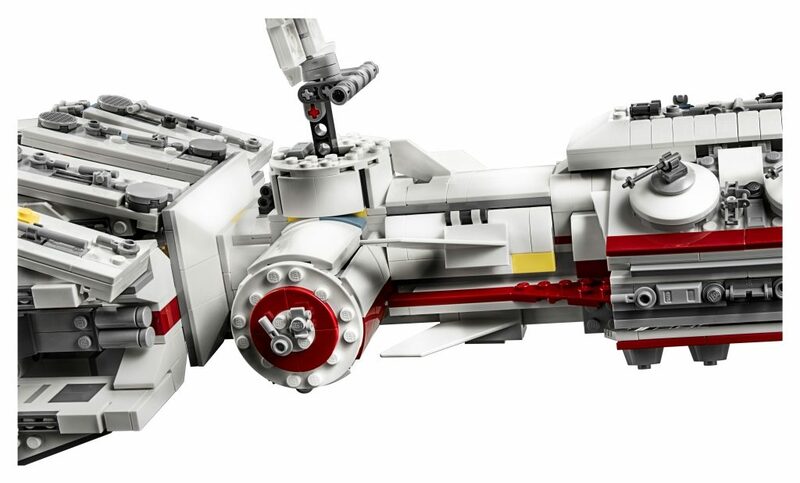 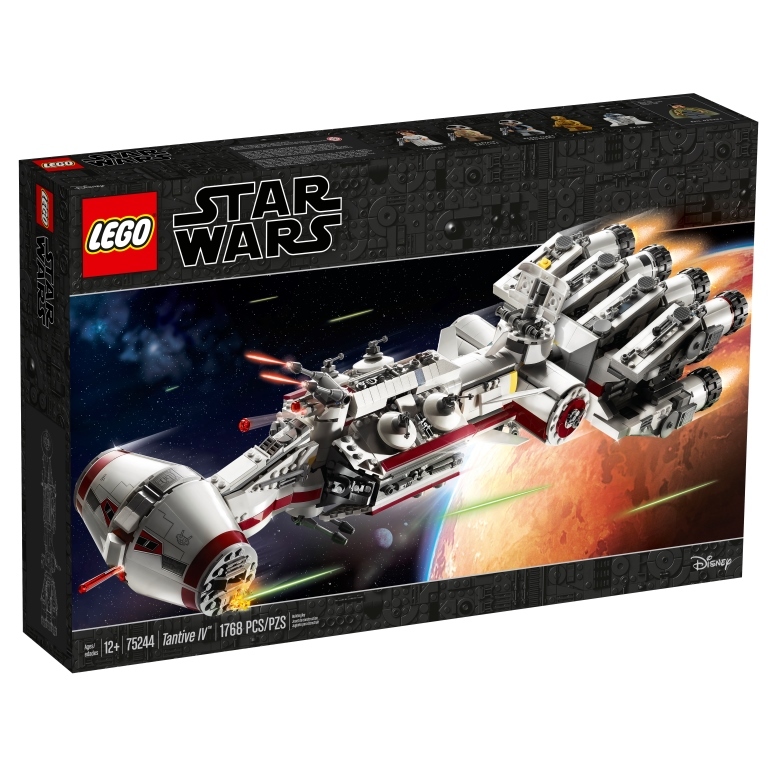 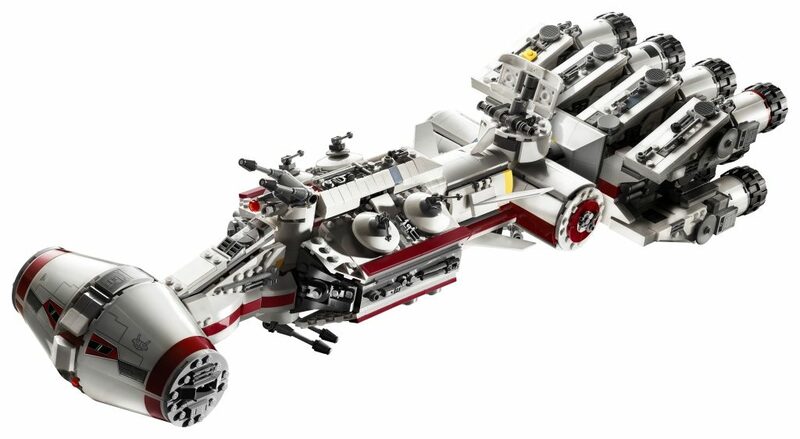 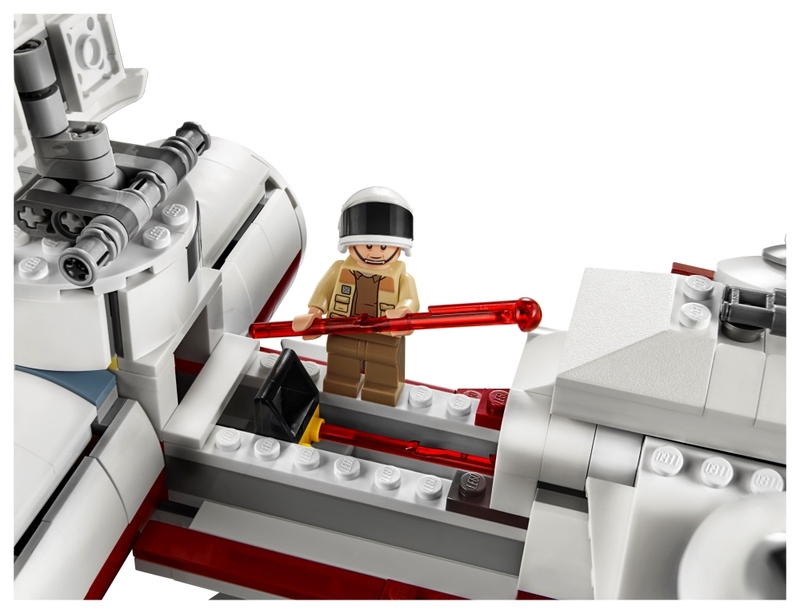 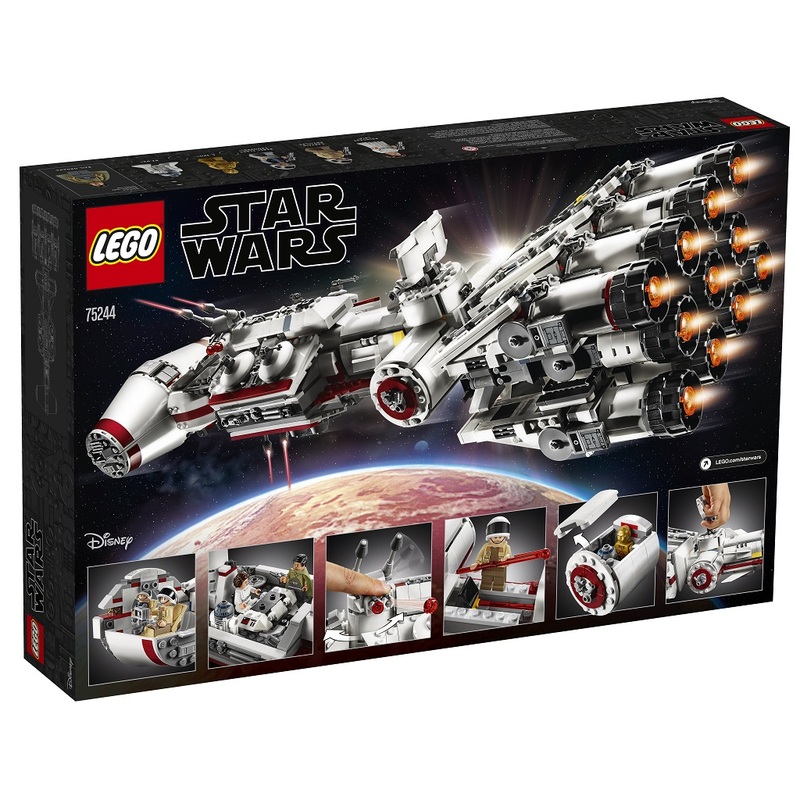 This LEGO® Star Wars Tantive IV, seen fleeing from an Imperial Star Destroyer in the opening moments of Star Wars: A New Hope, faithfully recreates all of the Rebel cruiser’s signature details, including an elongated hull, 2 detachable escape pods, rotating and elevating stud-shooting gun turrets, cargo hold and 11 massive engines at the back. 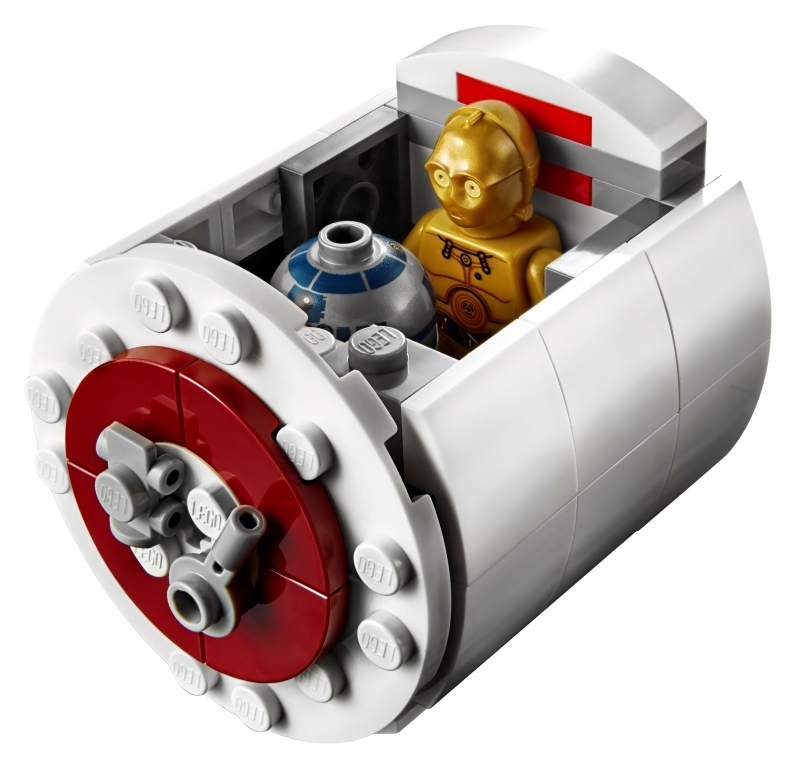 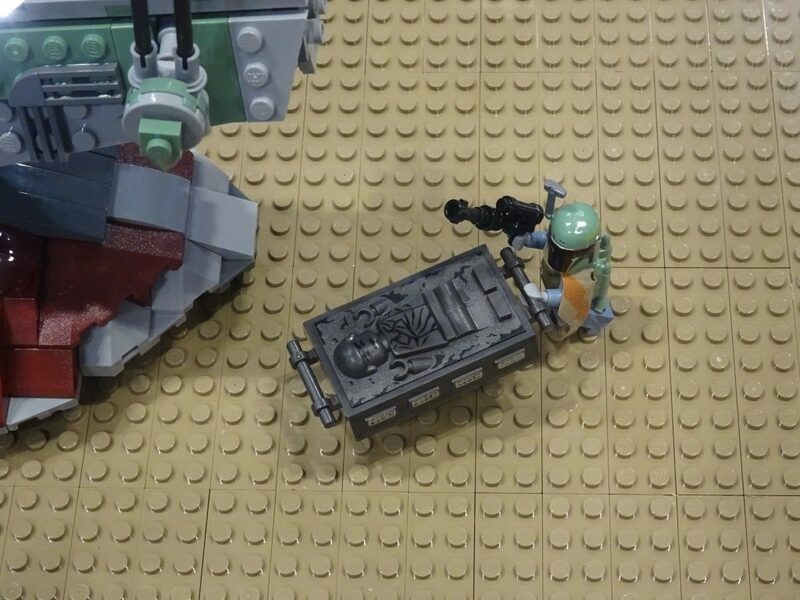 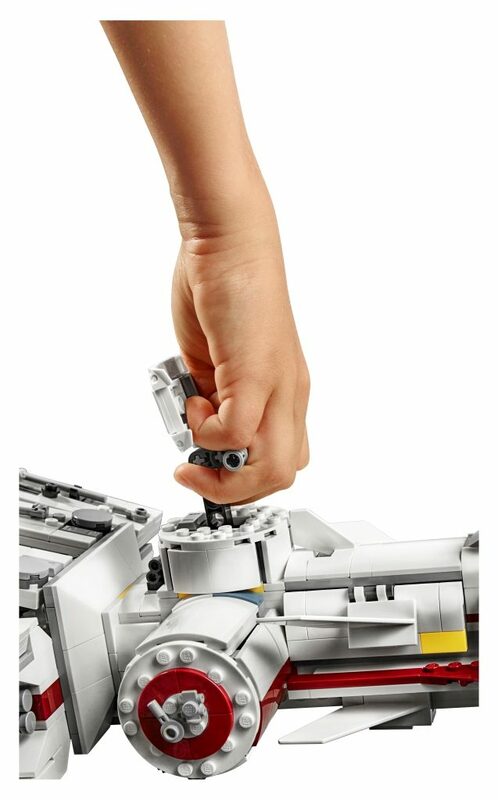 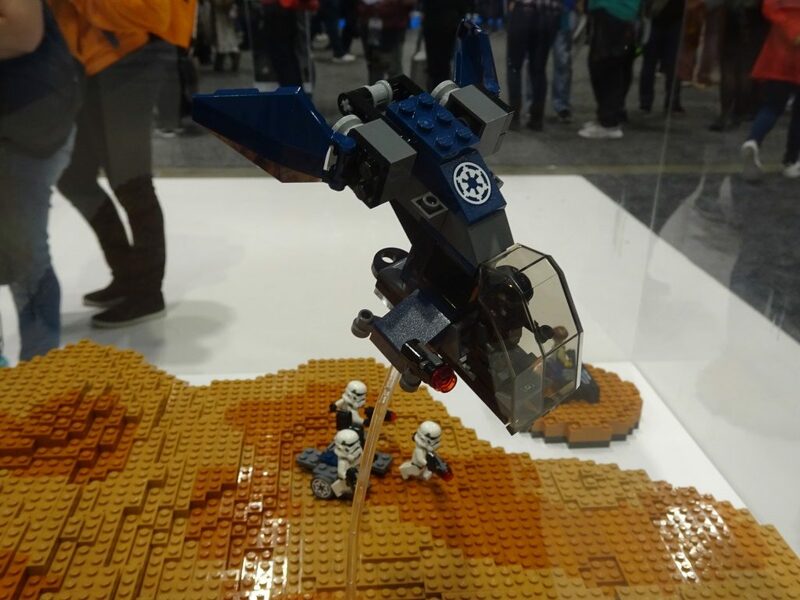 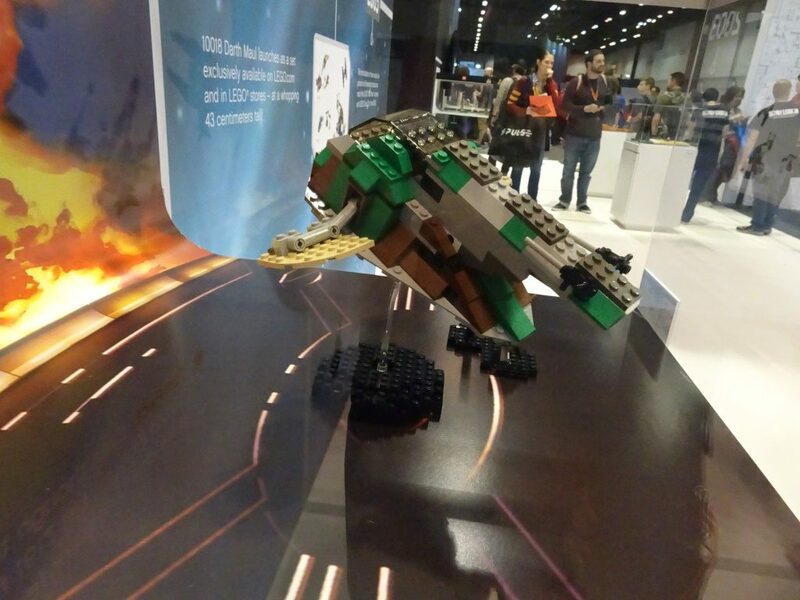 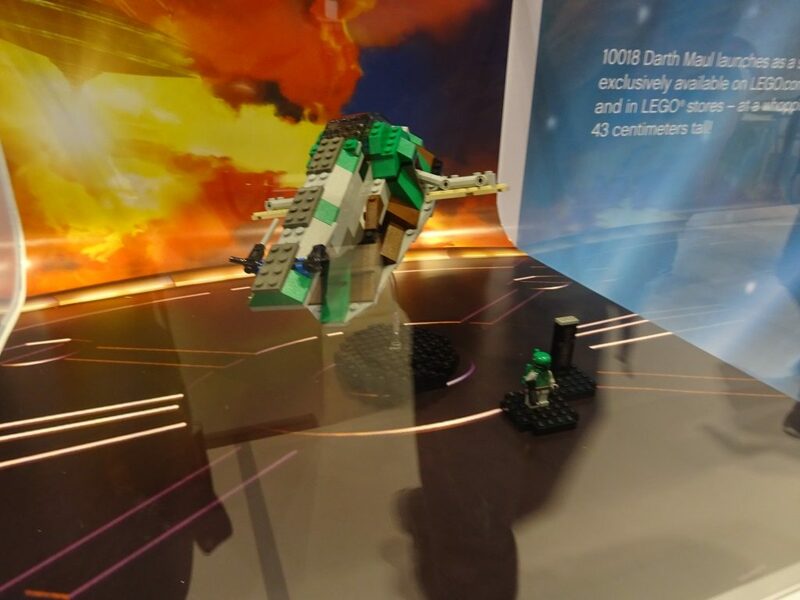 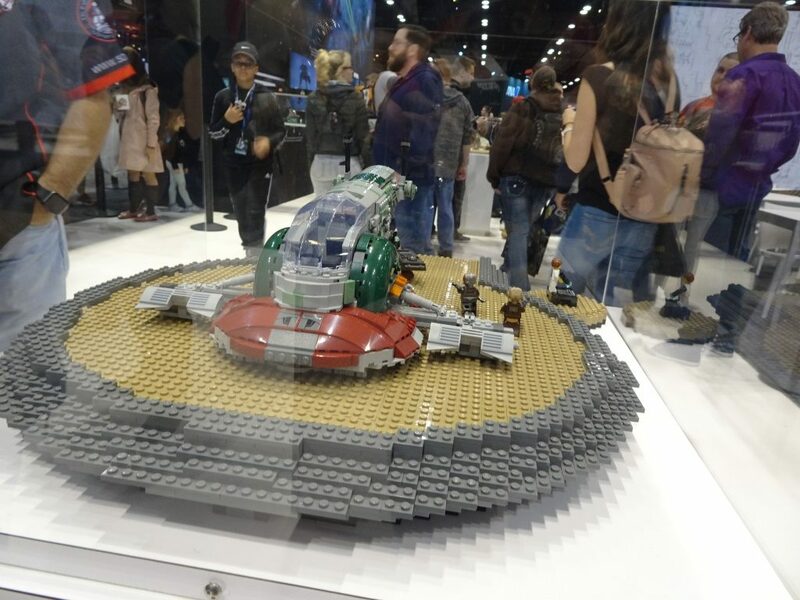 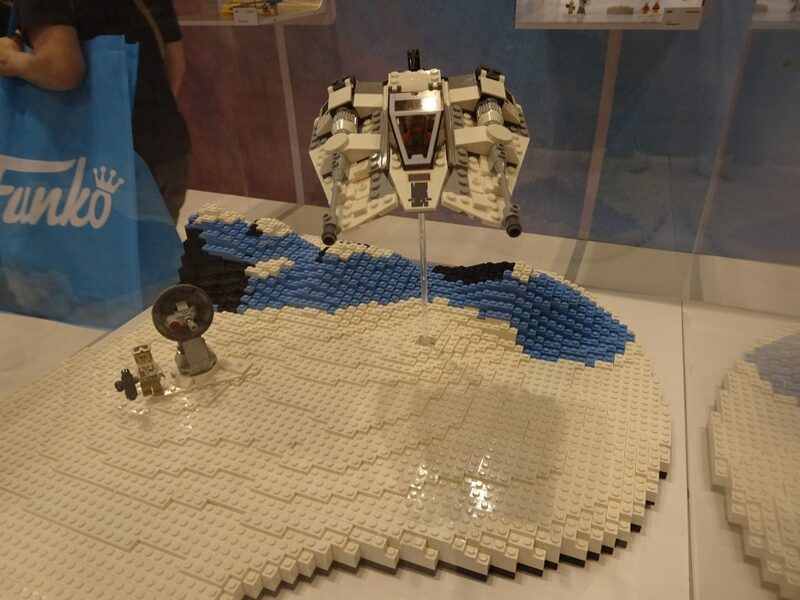 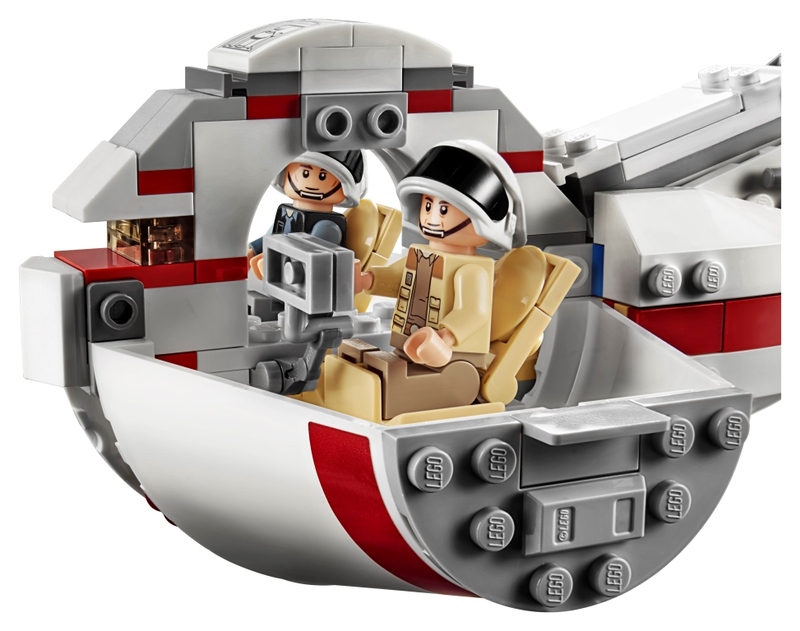 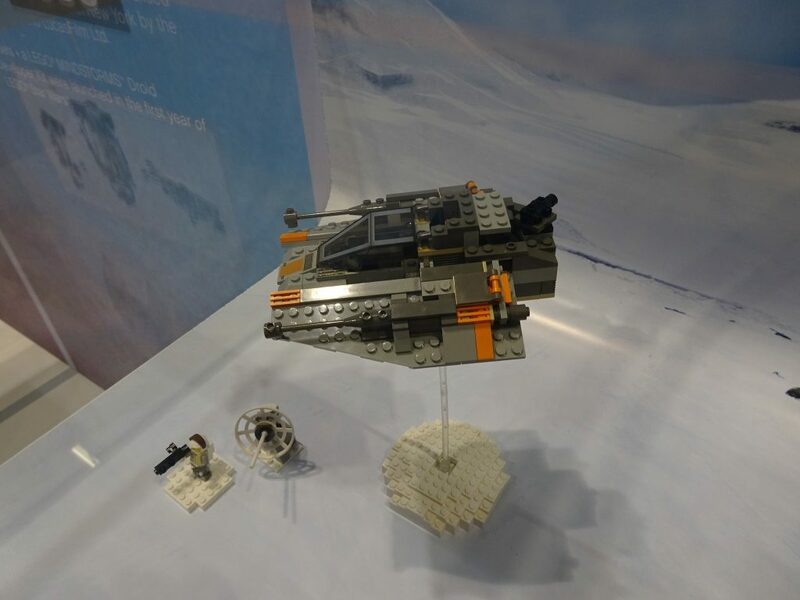 Remove the hull plating of this fantastic LEGO Star Wars vehicle to reveal a detailed 2-minifigure cockpit, conference area with table, weapon rack and a control console with 2 seats. 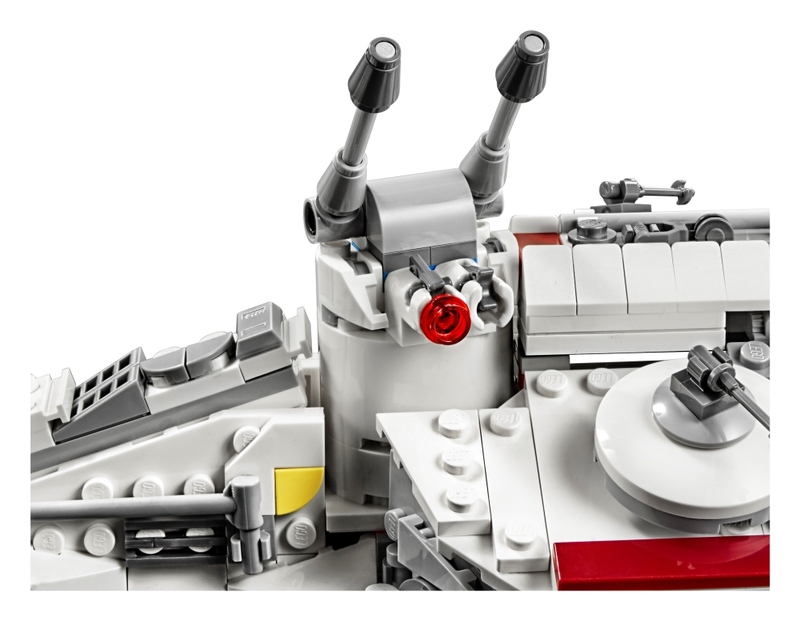 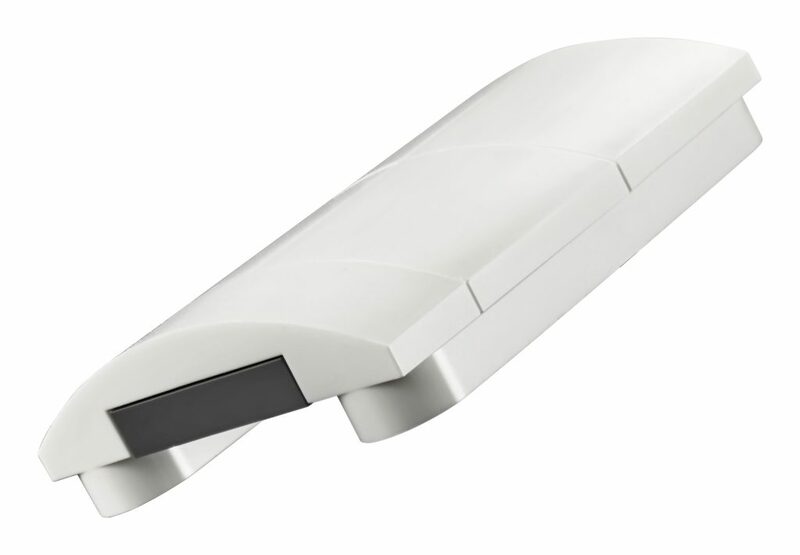 The radar dish also doubles as a convenient carry handle, which makes it perfect for flying around the room. 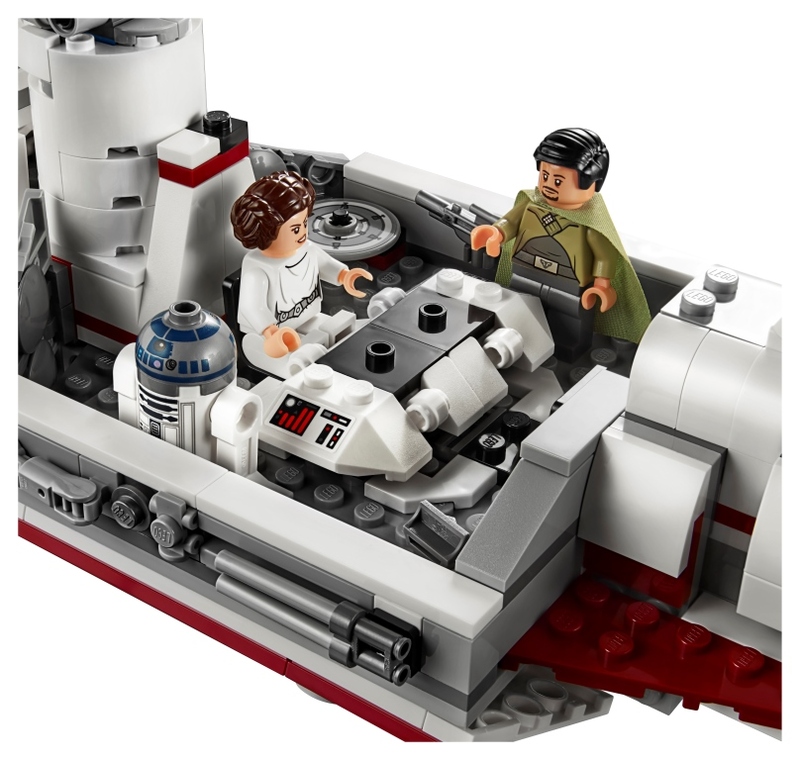 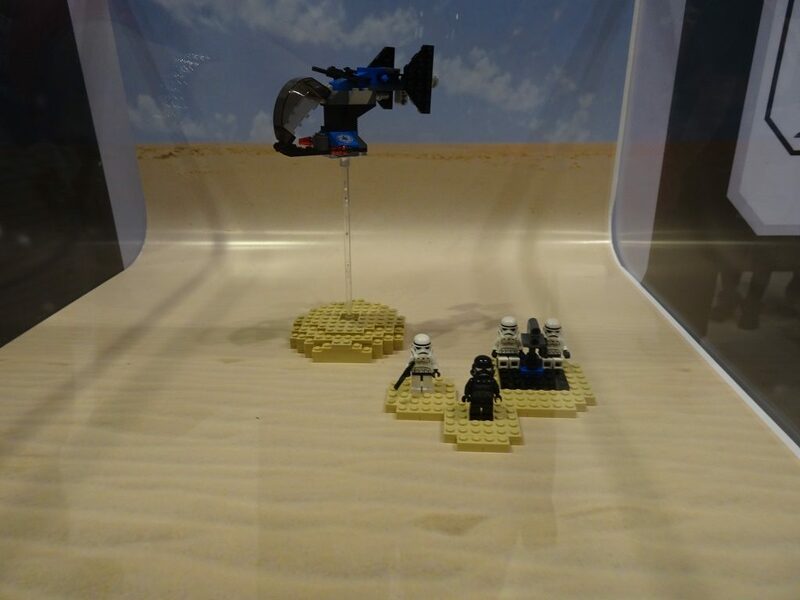 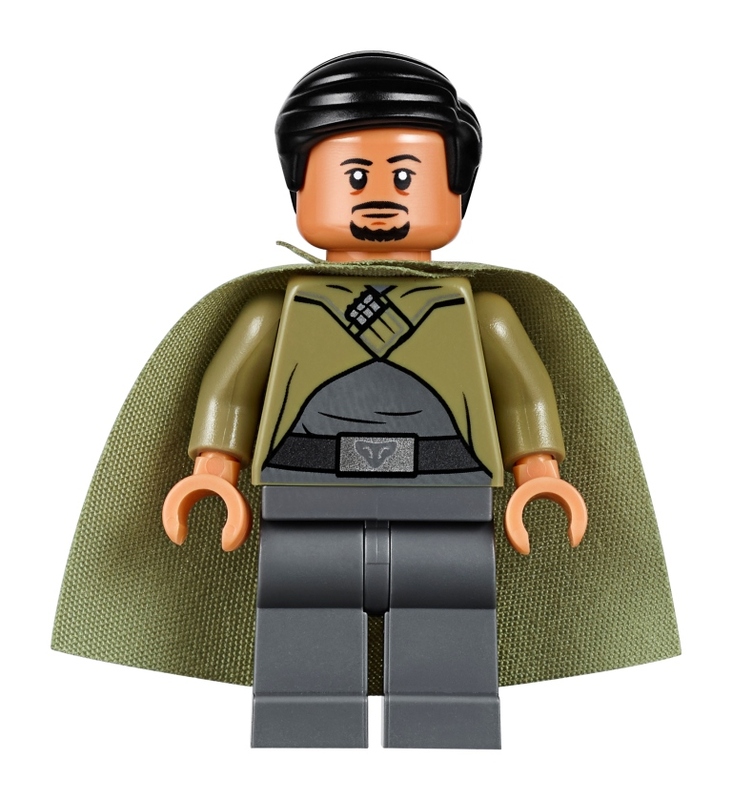 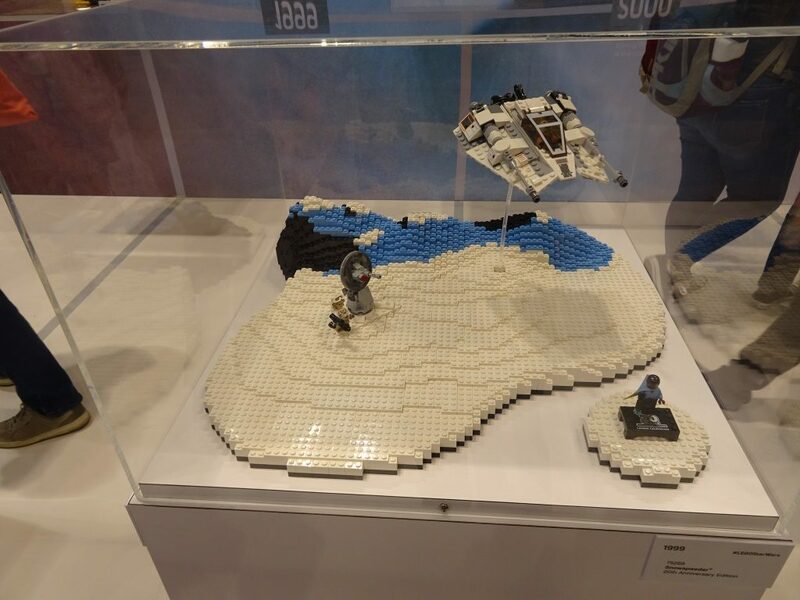 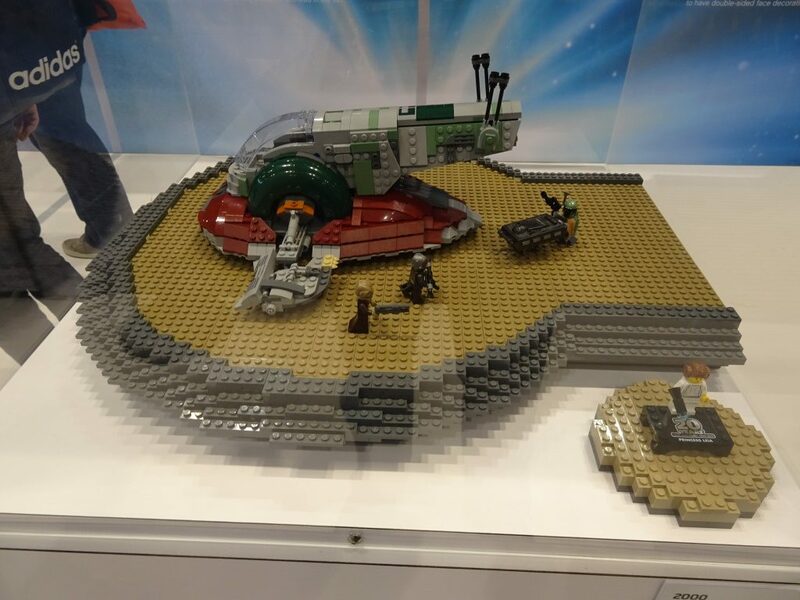 The set also includes 5 minifigures Bail Organa, Princess Leia, Captain Antilles, C-3PO and a Rebel Fleet Trooper and an R2-D2 droid LEGO figure.